National Herald Case: The BJP accuses the Gandhis of setting up a company, Young Indian, to buy debts worth 90 crore rupees owed by Associated Journals Limited. "Mr Rahul Gandhi has many questions to answer," Smriti Irani said. 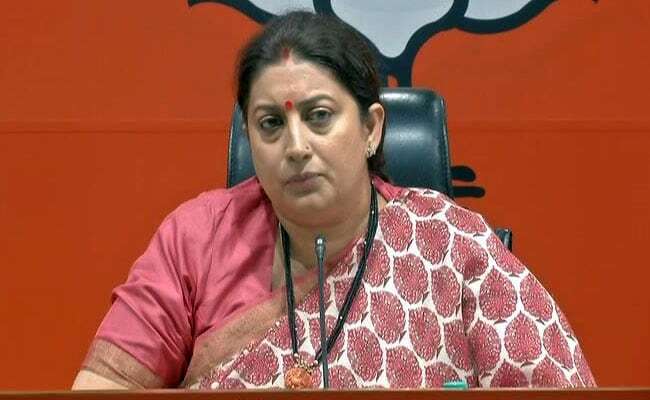 New Delhi: Union minister Smriti Irani, in a sharp takedown of Rahul Gandhi today after a court rejected his request in a tax case, sneered: "He is quick to hug Prime Minister Narendra Modi but he would run a mile when it comes to an income tax officer." The BJP leader said the Congress president and his mother Sonia Gandhi challenging a move to reopen their 2011-2012 tax assessments reveals "deep seated corruption" in the party. Smriti Irani's allegations refer to an income tax investigation linked to what is dubbed the "National Herald case" - or allegations that the Gandhis used their leadership of the Congress to misuse party funds for personal profit. "Mr Rahul Gandhi has many questions to answer," Smriti Irani said, going hammer-and-tongs at the Congress chief. The case involves allegations by BJP leader Subramanian Swamy that the Gandhis set up a company, Young Indian, to buy debts worth Rs 90 crore owed by Associated Journals Limited, publisher of three newspapers including the National Herald, an English daily founded and edited by Jawaharlal Nehru - Rahul Gandhi's great-grandfather - before he became India's first prime minister. In 2008, Associated Journals had shut down over its debts. The BJP alleges that the Gandhis used Congress party funds to pay of its debts even though the publisher has real estate assets worth thousands of crores. "Rahul Gandhi set up a company in 2011, professing it will not indulge in profit-loss business. Young Indian bought Associated Journals, which is commercial. A company whose job is not for profit or loss, why is it buying a commercial company?" questioned Smriti Irani. The minister went on: "Rahul Gandhi buys Rs 90 crore loan in Rs 50 lakh. He bought the loan of a company whose job is to run a newspaper, but then he says the company cannot run the newspaper. After buying this loan, Rahul Gandhi, his sister Priyanka Gandhi Vadra and Sonia Gandhi become owners of a company that has an income of thousands of crores." "When Income Tax assessed, reassessed that tax declarations made by Rahul Gandhi's company are not correct, it is my belief from media reports that Mr Gandhi and his family refused to answer Income Tax officers on the basis of the notice served to them," she said. Smriti Irani also called former Reserve Bank of India Governor Raghuram Rajan's report to a parliamentary panel on bad loans a "loud proclamation" of corruption on Congress watch. "Raghuram Rajan had said between 2006 and 2011, the UPA functioning led to increase in NPA (Non-Performing Assets) in banking structure," she said. The Congress has accused Prime Minister Narendra Modi of "directing" the tax department to reopen tax returns of the Congress leadership after eight years. 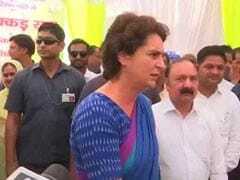 "We will fight this case legally and reply to income tax authorities," said the party's Randeep Surjewala. Mr Surjewala also hit back at Smriti Irani, saying "foolish allegations" were being hurled at the Congress leadership. "Smriti Irani is out of favour of the PM and by abusing people she is trying to gain relevance," alleged the Congress leader.